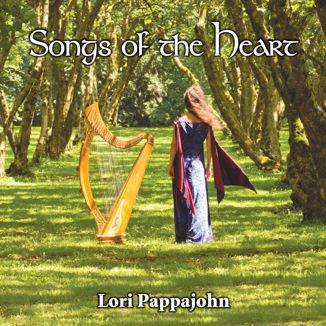 In this stunningly-beautiful recording, Lori Pappajohn takes inspiration from poets Thomas Moor, Alfred Lord Tennyson, Shakespeare, and Walter de la Mare in creating the lyrics for her Celtic-styled songs. Harps, flutes, fiddle, cello, percussion and guitar combine with her exquisite singing in this must-have recording. Some of her sailors and sea maidens are whimsical and fun; others are treacherous, mystical and haunting. This is a seductive journey into the watery-blue world of the mysterious rolling sea. Gentle songs of winter and Christmas. Soaring vocals, gentle harps, mystic flutes and deep-voiced cellos evoke the beauty and peace of the season. 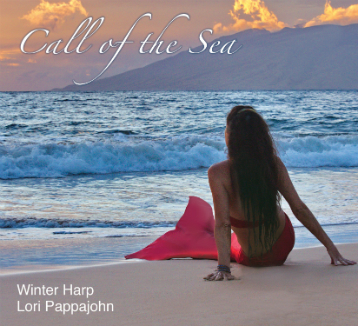 Harp, flutes and the sounds of nature combine to relax and sooth your soul. Includes such favorites as Danny Boy, Greensleeves, Shenandoah and All Through the Night. Soul-stirring melodies -- straight from the heart. This CD captures the magic and energy of our live performance (minus the narration and applause). Revel in the exquisite voice of our baritone Roger Helfrick as well as our other singers. Harps, flutes, percussion, medieval instruments -- it's all here in joyous Christmas splendour. Harps, percussion, bass and singing combine in this fun and lively Spanish-styled CD. You'll meet the fiery Girl in the Red Skirt dancing in the village square. 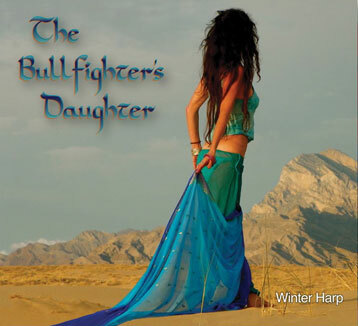 You'll feel the passion of the Bullfighter's Daughter. You'll hear the longing of the Andalusian riding his horse by the thundering sea. You'll feel the fervor of Freefall, the fire in La Fiesta and the exotic heart beat of Tangiers. Bring out the sangria, turn on the CD and let the festivities begin. Ole! This CD features the ensemble's most-popular songs such as Ave Maria, Little Drummer Boy, Huron Carol and Away in a Manger. 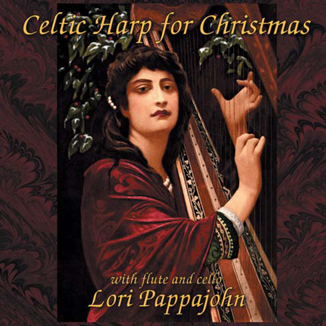 Throughout the CD, Medieval, Spanish and Celtic carols mix with all-time favorites. You'll also enjoy a poignant Spanish carol, a lively Irish jig and Winter Harp's fun songs such as Watch Out and Solstice Dance. The CD, which features just music, captures the magic and energy of a live performance. Gorgeous, rarely-heard carols intermingled with well-loved favorites. The album opens with a haunting Celtic ballad. The spirited song relates the legend of three mysterious ships that appear on the sea on Christmas Day. The album closes with a centuries-old Gaelic melody about a magical starlit Christmas night. From dance-like Basque carols, to haunting lullabies, this is Yuletide music at its best. The quintessential Christmas album. A top seller for its distribution companies continent-wide. 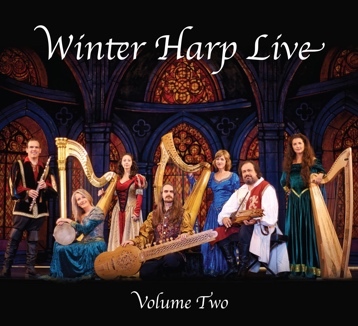 Regularly heard in December on CBC Radio, the CD features harp, flutes, cello and bells playing a hauntingly beautiful collection of well-known and medieval carols. These gorgeous arrangements will have you dreaming of falling snow and crackling hearth fires. A journey into the heart of winter... well-known carols as well as rare and lovely medieval carols. 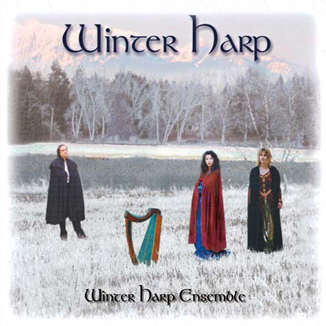 Winter Harp's debut CD remains one of its top sellers. From the ethereal sounds of the organistrum and psaltery to dynamic, rhythmic carols featuring the whole ensemble, this is a CD not to be missed. Celtic, Spanish and classical harps, flutes, cello, medieval instruments, percussion and voice. Named one of the top 10 CD's of Christmas 1999 by The Georgia Straight newspaper. 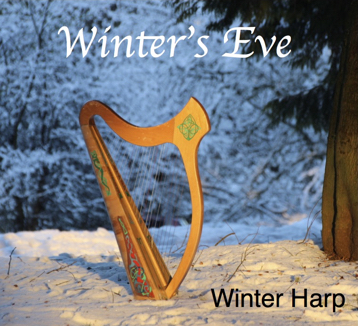 Winter Harp's musical landscape expands with exotic Middle Eastern influences of oud, sitar and hand drums featured on two songs about the wisemen's desert journey. 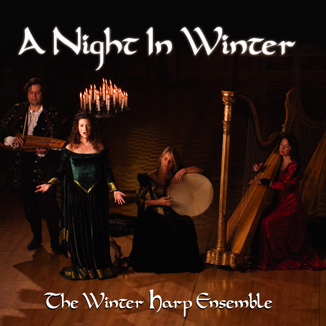 The CD also includes a solstice song, a Wassail song and exquisitly-arranged medieval English and Spanish carols. 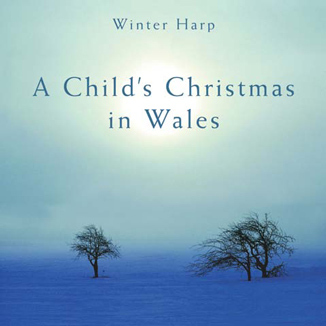 This CD features Alan Woodland reading the timeless treasure A Child's Christmas in Wales. Alan's rendition is especially poignant, bringing to life the heartwarming childhood memories penned so eloquently by Dylan Thomas. The CD also includes the delightful tale Carols in the Cotswolds by Laurie Lee. This charming story relates the adventures of young boys carol singing on a snowbound night. With his wonderful, expressive style, Alan takes you back to that memorable night in the winter countryside. Journey with the boys as they trek through their snowy valley, singing carols from house to house, their lanterns lighting the way. When Alan reads these stories, you can see, taste and hear every detail - crisp winter nights, bundled up postmen, freshly-baked pies, and colorful presents for good little boys. So relax in your favorite chair, and let Winter Harp take you on this magical literary journey to Christmas' past. 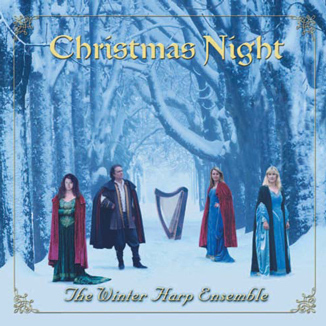 The CD also includes interludes of carols on harp, flute and cello. This CD was featured on CBC Radio's North by Northwest and played in its entirety several times on CBC Radio's nationwide DiscDrive with Jurgen Gothe. 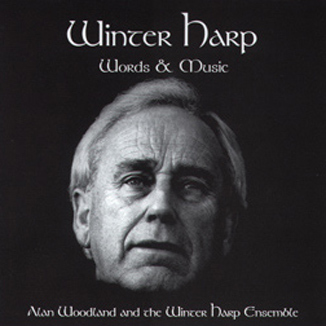 Some of Winter Harp's best-loved stories, poems and songs, featuring acclaimed narrator Alan Woodland. Curl up by the fire and let this CD fill you with Christmas warmth and cheer. 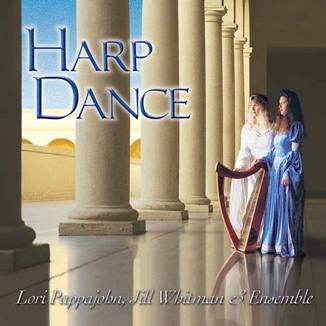 Mesmerizing...Haunting...Rhythmic...Dynamic Nominated for a prestigious Westcoast Music award, Harp Dance features some of Winter Harp's most popular pieces including the rhythmic Middle Eastern-influenced Camel Caravan, and the fiery Baroque Flamenco. Celtic dances mix with music from afar to create an exotic and upbeat collection. 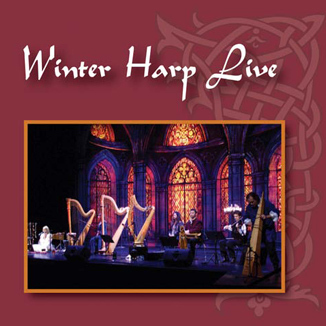 Superbly produced, Harp Dance spotlights breathtakingly beautiful arrangements and evocative performances. From the ethereal sounds of the medieval instruments to the exotic mixtures of tabla and Celtic harps, the album transports listeners to other times and places. Instruments: harps, percussion, bass, voice, and medieval instruments. A beautiful blend of the medieval and Celtic styles. 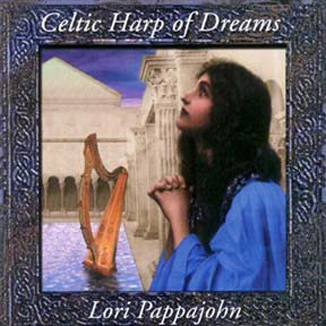 Lori Pappajohn on Celtic harp and flutes, with cello, medieval instruments and percussion. This CD was listed on Jurgen Gothe's prestigious top 20 hit list and was featured numerous times on Jurgen's DiscDrive. Crystal clear music, the sound of fresh snow and bright moonlight. She is a marvelous harpist, founder of various ensembles, comfortable in all styles. Great studio sound.